Mr. Galuppo has been involved in the real estate industry since 1975 as a principal, builder, real estate broker, mortgage broker, developer, and attorney. From 1989, Mr. Galuppo has been practicing law, emphasizing on both transactional and litigation matters relating to real estate, finance, construction, development, environmental and land use. 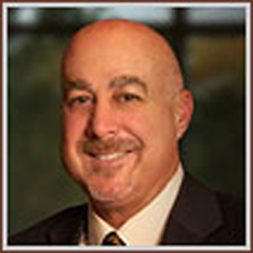 Mr. Galuppo serves as general counsel for various real estate, development, construction, and mortgage lending companies. He is licensed to practice in all courts of the State of California; including the four Federal District Courts. Previously, Mr. Galuppo was a partner in the real estate law firm of Peterson & Price. Mr. Galuppo holds the distinction of an “AV” rating with the lawyer rating service of Martindale-Hubbell. The AV© certification mark represents the highest rating level awarded by Martindale-Hubbell. The A.V. Rating is a testament to the fact that the lawyer’s peers rank him at the highest level of professional excellence. Knowledge and skill derived from extensive experience are usually prerequisites for an AV rating. The standard of excellence is determined by the lawyers practicing in that particular area. Mr. Galuppo served as the Director of the Burnham-Moores Center for Real Estate at the University of San Diego (“USD”). He has taught Legal Aspects of Real Estate in the School of Business Administration at USD as a professor starting in 1998. In 2004, in the Masters of Science of Real Estate (“MSRE”) he started teaching Real Estate Law, Ethics and Public Policy. Also in the MSRE program, Mr. Galuppo taught Real Estate Transactions and the Land Use Process. Mr. Galuppo actively speaks, writes and performs research on issues affecting the California real estate community. In that regard, he is currently involved with the San Diego Chapters of the National Association of Industrial & Office Properties, the Institute of Real Estate Management, the Certified Commercial Investment Member Institute, Urban Land Institute, Building Industry Association, the San Diego Association of Realtors, and the North San Diego County Association of Realtors. Mr. Galuppo is also a member of the honorable Lambda Alpha International Society for the advancement of Land Economics. He received his Bachelor of Science Degree, with an emphasis in finance, from San Diego State University. After several years working as a real estate professional, Mr. Galuppo returned to school, receiving his Juris Doctor from California Western School of Law in 1989. While in law school, Mr. Galuppo was part of the staff of Law Review and interned with the Superior Court of California in San Diego, and, also interned with the Fourth District Court of Appeals, Division One. In the early 1990’s, Mr. Galuppo served on an advisory group to the Housing Commission for the City of Encinitas. During the early 2000’s, he was a Director for CCIM, San Diego Chapter. Mr. Galuppo was a Board Member for the New School of Architecture, as well as a Board Member for the San Diego Community College Real Estate Advisory Committee. Mr. Galuppo was born and raised in Southern California. He has been married over 20 years to his wife Kathryn; and they have two children.